There were a lot of things that Payton wasn’t sure about, God and morning erections are among them. But he was sure about one thing, he wanted to be a writer, just like his dad but different. He wanted to write novels, mystery novels like Patricia Highsmith or detective novels like Raymond Chandler or crime novels like James Ellroy. He wanted to create people, make them the way he wanted them to be, make their lives interesting, or dead. Hemingway said to write what you know. 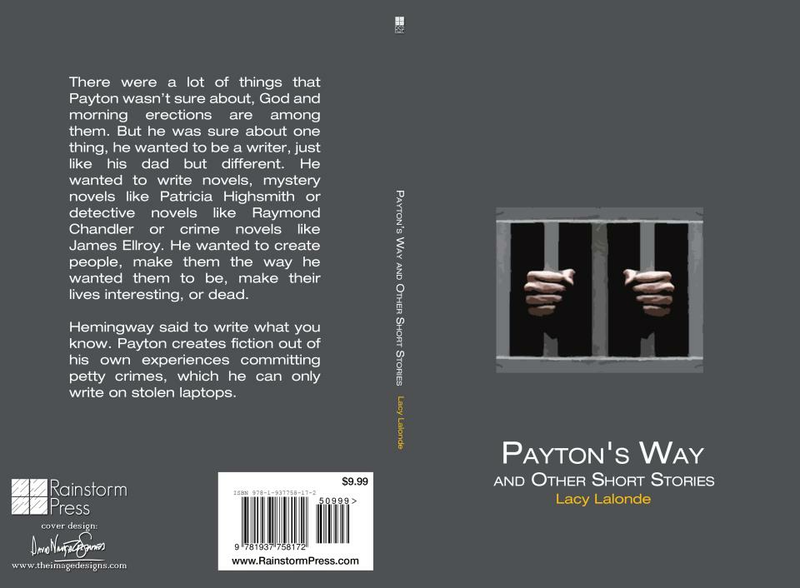 Payton creates fiction out of his own experiences committing petty crimes, which he can only write on stolen laptops.